1. 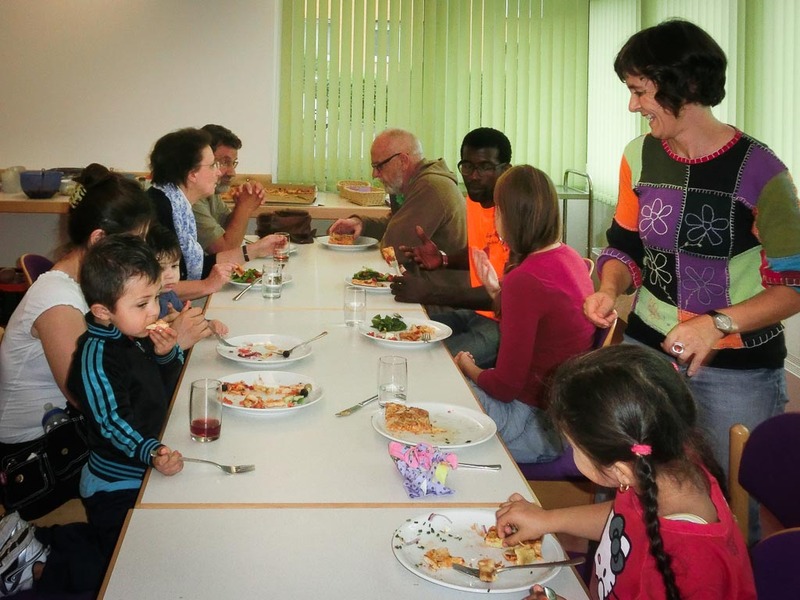 What is the Asylkreis Marbach? The Asylkreis Marbach is a non-profit association, whose members are volunteers who would like to help refugees to start a new life in our municipality. 2. How and where can I take a German language course? Mondays from 15.30pm to 17pm, Wednesdays from 10am to 11.30am and Fridays from 10am to 11.30 am, Uhlandschule right next tot he König Wilhelm Platz. 4. Where can I get legal advice? We are pleased to recommend you lawyers. It is important that you save about 20 Euros each month for upcoming legal services. Lawyers are very expensive and will cost you you between € 400,00 and € 700,00. You won´t receive legal advice without money! 5. Will my foreign profession or school/university degree be recognized? Please contact the AWO Kreisverband Stuttgart e.V.. There you can hand in your original documents for revision. Cost: aprox. € 400,00 plus fees for certified copies and translation fees. Please consider that those refugees who are acknowledged to stay might get partly compensated by the Jobcenter. Refugees who are still in process must cover the cost on their own. 6. How can I receive medical care? Medical care for refugees is guaranteed by law (Asylbewerberleistungsgesetz (AsylbLG)). You receive a special document from the social worker, with which you can go to a doctor. Don´t forget to hand this document to the doctor. In German you can ONLY go to the hospital with a confinement authorized by your general practitioner or if it is an emergency. Otherwise you will have to cover the cost on your own! 7. Where can I get non-expensive clothes? 8. Can I receive support with the writing of official documents? Please just contact one of our volunteers who are more than happy to help you. 9. How do I find an apartment once my application for asylum becomes acknowledged? 10. How can I get around here with public transportation? Our public transportation system offers all means to get around. Marbach is connected to the S-Bahn network. In order to use it you need a valid ticket, which you can buy at the vending machines. If you already have multiple tickets, you might have to stamp them. The use of the public transportation system without a valid ticket is strictly forbidden. They will fine you with 60 Euros! If you get caught three times, you will receive a penal charge, which will have further consequences for you. 11. What kind of leisure activities are offered? Please feel free to contact us for any kind of information on sports clubs and other activities.